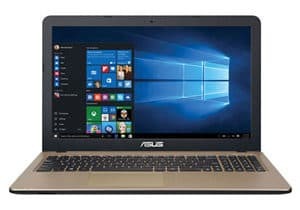 What Problems Should I Look Out For In CD Drive Laptops? Can I Find More Budget-Friendly Options? How Can I Prepare For The End Of Optical Drives? Physical media may be on its way out the door, but it hasn’t completely gone the way of the Dodo just yet. Steam, Dropbox, Google Docs and other digital services are rapidly removing the need for discs to store data. Consequently, built-in optical drives in newer laptops are becoming more and more rare. 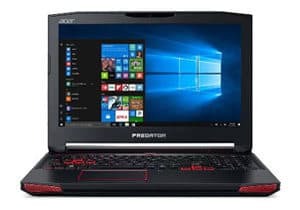 Need a portable computer with great specs that doesn’t forget about physical discs? We’ve got you covered with a roundup of the best laptops with a DVD drive! There’s no question that storage options have shifted away from CDs to cloud-based services and USB thumb drives. Plenty of people still keep around game installation discs, CD collections, and burned DVDs filled with photos and family videos, however. Finding a laptop with acceptable modern specs and a built-in optical drive is difficult, but not impossible. Below we’ve picked five of the best models available at every possible price range for work, school, or gaming. When looking for a laptop with a CD drive, keep in mind they are often culled from newer models to save space for other features. Many manufacturers are shifting away from traditional laptop design to combine tablets and computers into one. If you don’t want to lose out on certain minimum specs, you need to be very selective in your choice, taking into account all the possible options. Whether you want a touchscreen, extra RAM, more hard drive space, or great battery life, we’ve got a laptop here to fit your needs. 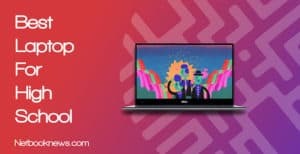 This year, two primary contenders stand out as the best laptops with a CD / DVD drive depending on what specs are most important to you. 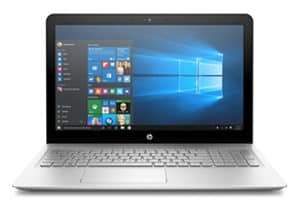 The current best all-around option is easily the HP 2018 Business Flagship. It doesn’t skimp out on any features but comes in at a stunningly low price. That particular model isn’t meant for gaming applications, however. If you need to get your game on and still want an optical drive, then the Acer Predator 15 should be your top pick. If you want the best of all worlds with great specs, a touch screen, and a DVD burning drive, this should be your pick. An extremely well-rounded machine, the HP 2018 Business Flagship can do a little bit of everything. 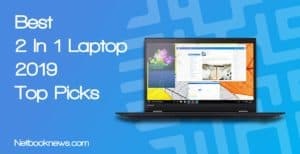 With excellent mid-range specs, this is easily one of the best laptops with an optical drive you can find at a decent price. 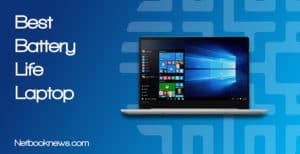 With 12GB of RAM and a 7th generation processor, you get great speeds for bookkeeping, web design projects, or any other work tasks. The touchscreen also gives you the added benefit of functioning much like a lightweight tablet. You don’t lose out on gaming potential here, either. The R7 doesn’t match the raw power of the GTX 1050 and higher models, but its actually not a bad card for casual gaming. A few potential downsides might knock this model out of the running for you, however. You get the older hard disk drive tech here instead of a faster and quieter solid state drive (SSD). Buyers often mention that this model comes pre-loaded with anti-virus software you probably won’t use. 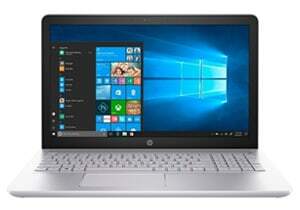 Several reviewers also had trouble with the HP Assistant Software updating properly, so expect a little extra work when you first boot up the laptop. 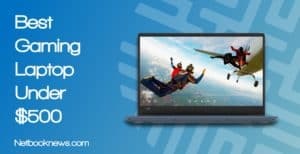 If you don’t want a touchscreen model but still need higher end specs, this should be your pick for the best laptop with a built-in DVD burner. Many of our contenders for best laptop with a CD drive default to a touchscreen display. While that’s the way computers are going, not everyone loves the design. If you prefer a standard screen, you should seriously consider going with ASUS. With 8GB of RAM and an Intel 7th gen processor, you get a smooth experience for most work or school activities. 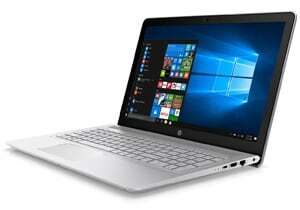 Much like the HP Business Flagship model, this one isn’t quite built with gaming in mind. It can still double as a light gaming machine, though, with the 940MX dedicated graphics card. Buyers frequently bring up the speed of the SSD, but lament the loss of the caps lock indicator light. This particular model uses a different keyboard design with no backlighting at all. Reviewers also mentioned that the speakers are tempermental, so you may need to grab an extra pair of headphones. 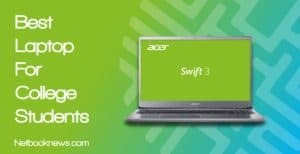 If you need a big, solid laptop with a large viewing screen for watching DVDs, this should be your pick. When you want something more lightweight however, take a look at the other contenders on this list instead. At a full 17 inches, the Envy is one of the largest laptops with a DVD drive still available on the market. It doesn’t skimp on the specs, either, and even has a touchscreen display. Touchscreen models typically run in the smaller form factors, from 13 to 15 inches. You definitely don’t sacrifice any viewing area to get a touchscreen with this model! All that extra screen size and higher end specs come at a cost, however. This is a bulky, heavy laptop that sacrifices portability. With integrated motherboard graphics, this is also absolutely not a gaming machine. If you need a better graphics card, it would be best to look elsewhere. Users love the quick speeds and large touchscreen, but also often bring up the placement of the touchpad. With this particular design, the pad rests closers to the keyboard and is easy to accidentally touch with your palms. Upgraded models of the Envy series are also available if you want to go absolutely top-of-the line. With the latest processors and significantly more RAM, you can expect to drop $2,500 – $3,000 on those models. Want something light, portable, and with a unique color? 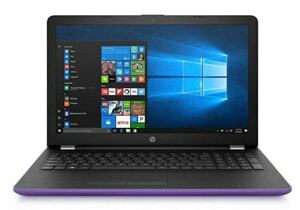 This should be your pick for the best purple laptop with a CD / DVD drive! 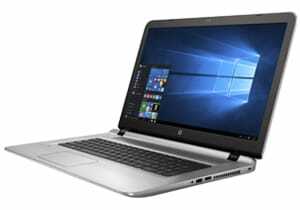 For a more lightweight option, HP has another pick worth considering that doesn’t give up the touchscreen. This model is less than an inch thick, weighs under five pounds, and is reasonably priced for a laptop with DVD-RW drive. Although you get a HDD instead of the faster SSD, the full 2TB of hard drive space more than makes up for the trade off. One potential issue needs to be made very clear upfront — this laptop is bright purple! If that’s not your favorite color and you’d prefer something more neutral, one of the other contenders will probably work better for you. With such a thin design based around budget, this is a model that’s not built with upgrades in mind. That issue aside, buyers most frequently mention the striking color and low price when reviewing this model. When you need to stick to a budget but don’t want a bright purple computer, there are other options available. Lenovo, Dell, and Acer all make laptops with CD drives in this same basic price range. Want to re-install your physical disc game collection and run the latest Steam shooters at max settings? This should be your pick! Each of the laptops with CD drives listed above have been geared towards work, school, or web browsing purposes. For the gamers out there, this is the model you should be checking out. Although it seems like gaming rigs would need optical drives, most games are downloaded digitally these days. Games arriving in a physical box with a CD or DVD just isn’t as prevalent these days. Getting a high end machine that can run games at ultra settings is tough if you also want a DVD drive. 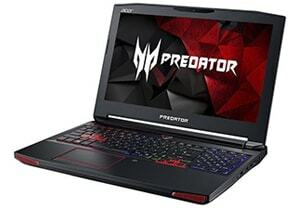 The Acer Predator 15 fits the bill, with a GTX 1060 graphics card and a built-in DVD-RW. Buyers love the high end specs for gaming coupled with the DVD drive, but most of them note that the battery life is very short. Picking a decent laptop with a CD drive isn’t quite as straightforward as you might think. When browsing different models, be sure to take special note of the specs and not just the description or cover image. Slight differences in model numbers across the same series can have radically different options. More than just a cursory glance is needed to make sure you find what you really need. Stock photos of a previous model may be used for multiple products at sites like Amazon and Newegg. The photo can appear to have an optical drive on the side, but that particular model may not actually include the CD / DVD. Take a look at what the reviewers have to say about the speaker quality as well. If your goal is to listen to music CDs or watch movies on DVD without headphones, this can be a critical feature. Although we picked a wide range of models to include some cheaper options, those on a budget may want something with an even lower price tag. 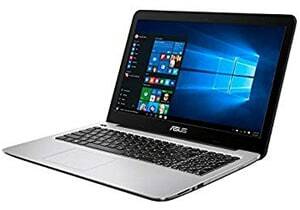 It isn’t difficult to find laptops in the $250 – $350 range with a DVD drive. You just can’t expect to get a computer with higher end specs at that price point, unfortunately. Typically these lower priced models only have 4GB of RAM and a slower processor. For web browsing, movie watching, and light work these may still meet your needs. Even more expensive models may have trade offs to carefully consider. Removing the optical drive saves room for other components, especially in thin and lightweight models. When a manufacturer adds the CD drive, you may lose out on other specs. Be on the lookout for a laptop with M.2 expansion slot so you can put in an SSD for faster boot times. Models that allow you to upgrade to 32GB of RAM are also worth considering. You don’t want your laptop with a built-in CD drive going obsolete in the near future. Sadly, it won’t be long before optical drives are entirely a thing of the past. For those of us with binders full of CDs and extensive collections of disc games, that means it’s time to catch up with the technology. Many manufacturers offer a large chunk of online storage — such as 500GB — for free if you register your laptop and sign up for an account. Check the computer’s documentation, or even just take a look at all those stickers near the touchpad before tearing them off the laptop. They often have all the details right there, so don’t overlook them before they go in the trash! Even if your laptop doesn’t include an online storage option, there are still plenty of services available for free. If you’d prefer not to keep all your data in the cloud, external USB drives offer extra room at reasonable prices. Between these five contenders, you should have found the absolute best laptop with a CD ROM drive to meet your needs. No matter what size, specs, or options you want, something here will fit your budget. What did you think of our picks, and why do you stick with old school optical drives? Sound off and let us know your thoughts in the comments section below!